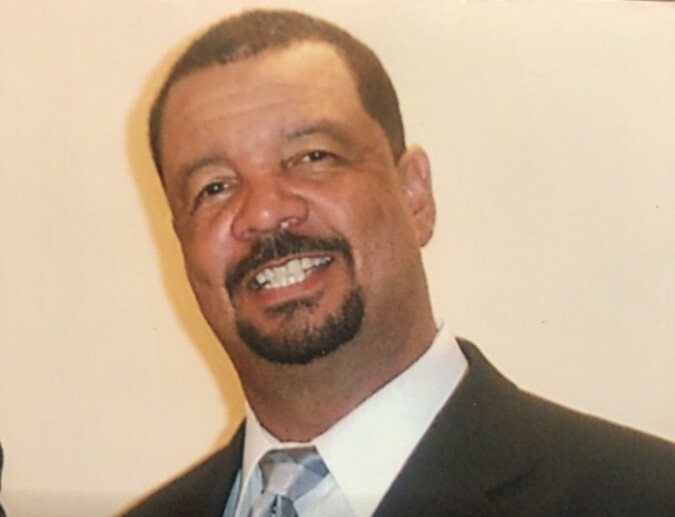 Obituary for Mr. Kenneth "Duke" Malone | William Gayleano Murray & Son Funeral Home, Inc.
Kenneth Malone was born July 23, 1954 in Richmond County, Georgia to the late Mr. John Malone and Mrs. Maude Reid Malone. Kenneth was educated in the Richmond County School System. He graduated from Lucy Laney High School in 1972. After graduation, he moved to Atlanta, Georgia to further his education and to pursue a career with Norfolk Southern Railroad. In June of 1972 while deciding his career path and meeting new friends, Kenneth met a shy young lady, Mary Daniels that he just had to impress, even if that meant wrecking a car while showing off. It must have worked! They were married on October 7, 1973 and were happily married until her death in May 2014. From that union, two loving daughters were born, Kendra and Marva. Kenneth was a person that was committed to any task her undertook. He was proud of his career as a Sprinkler Fitter and would often share stories of how he loved his job. During this time, he joined the local Sprinkler fitters Union 669. Kenneth was a “true” union man and made sure he remained active. Kenneth was known as “Kenny” to his closest family and friends. He was often called “Ken” and “Duke” by most of his racing buddies. In his early years, Kenny enjoyed listening to music, loud music. If he was out driving he would have his music playing. If he was working on a car, he had his music playing. He may not have been the best dancer, but he knew most of the songs and all the artists. As he would say, “I am from Augusta!! “ He wanted everyone to know that he may not have been able to dance, but James Brown had him covered since he was from Augusta too. His best kept secret was that he too was musically inclined. Kenny learned to play the piano at an early age, but decided cars were more fascinating. Even after moving to Atlanta, Kenny stayed in touch with his family and friends in Lincolnton and August. If he could not visit them, he was sure to call them often. Kenny loved people and that love for people propelled him to meet new people daily. Kenneth was not shy and would introduce himself to strangers he met on the road, in restaurants etc. He was an unofficial taster for Waffle House and could tell you which the best location in Southwest Atlanta was. Kenny had a true passion for cars and racing. He could dismantle a car and put it back together better than most professional mechanics. He was proud of his race cars and loved participating in the races in Madison and Lagrange. He may not always win, but he knew his cars were good enough to give them a run for the money. He loved spending time with his family at the track on Saturdays and Sundays and would have his daughters cheering him on. One of the most rewarding times in Kenneth’s life is when he became a volunteer for Hosea’s Feed the Hungry Coalition. He truly respected the work they were doing and spent years helping to provide food, clothing and shelter for others. He looked forward to the yearly Thanksgiving dinners and worked tirelessly until his health declined. He often encouraged other family members and friends to come and work with him. It was this passion and community involvement that led Kenneth to recommit his life to Christ. He joined West Oakland Missionary Baptist Church. There he shared his talents and created lasting bonds. He joined the Male Chorus, but quickly decided that he could only share his voice once a year, on Men’s’ Day. Kenneth loved his church and his church family. In 2016, Kenneth was blessed to begin a true friendship with Lillie Dixon. He enjoyed time with her and her family and created lasting memories with them. Lillie and Kenneth developed a bond that helped him through the most difficult times in his life. That bond of friendship and love lifted him during his battle with cancer. Kenneth and Lillie were united in marriage in July 2018. During his illness, he would often reflect on how thankful he was to have shared his life with so many people that loved him. Kenneth was a proud man who knew that God had blessed him tremendously with the love of family and friends. He often said that the only thing he had to say was “I am Thankful”!. On Monday, October 22, 2018 he departed this life. He will be deeply missed by all who knew and loved him. He leaves to cherish his memory a loving wife, Lillie, two daughters. Mr. & Mrs. Gregory Dabney (Kendra), Miss Marva Malone, Mr. & Mrs. Nicholas Marks (Rhonda); one step daughter, Niki Hemingway; five grandchildren, Joshua Johnson, Bryce Dabney, Jade Scott, Jordan Marks, Brandon Powell, Zora Hemingway, Loryen Dabney, Haylie Marks and Jurnee King; Mother-in-law, Ms. Pauline Williams; One sister, Mr. and Mrs. Curtis Rouse (Clara), one God sister, Mr. and Mrs. Alfred Moreland Sr. (Ann); four brothers- in- laws, Mr. Carl Daniels, Mr. John Cleveland, Mr. and Mrs. Samuel Daniels (Gayle), Mr. and Mrs. Cornell Daniels, Jr. ( Cathy); five sisters-in-laws, Mr. and Mrs. Robert Alexander( Rosa), Ms. Irene Cleveland, Mr. and Mrs. Henry Bridges (Eva), Ms. Annie Wilkes, Mr. and Mrs. Alvin Shakoor (Carolyn) ; a devoted cousin whom he loved like a sister, Mr. and Mrs. Esper Lee ( Bessie); along with a host of nieces, nephews, other family members and friends.